You can use the flower planters as the border in the garden. Arrange the big planters along the wall as the border in the garden. If you want to use the easy to maintain plants, you can pick the topiaries. The border in the garden will last longer because the topiaries can last in a year around. To make the border interesting, you can trim the topiaries based on the desired design. 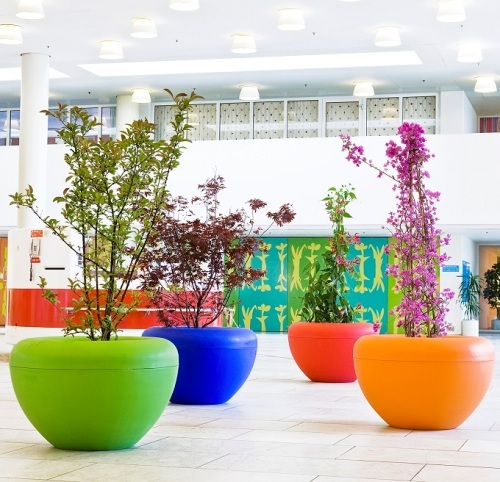 The location of the planters should be decided based on the features of the plants too. If you have many flowering plants which are not in bloom, you can place them under the sun. Keep them inside the small planters. Therefore, it will be easy for the home owners to take them under the sun. When the flowers are in bloom, you can have them in shady area. The entrance area should carry the dramatic decoration. You can use the planters as a part of entrance way decors. You do not need to make them look overwhelmed. 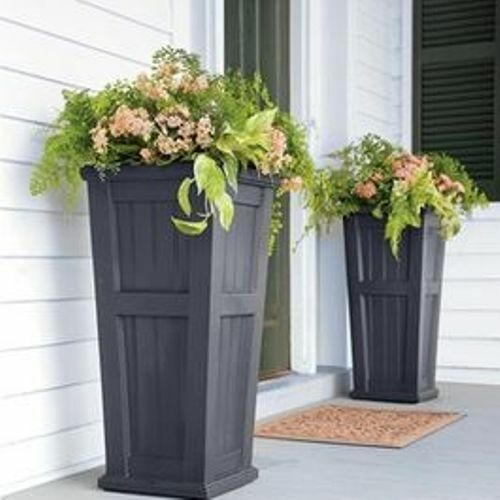 Create the elegant look with vines inside the planters. You can place them to frame the arch. The door way will look amazing if you can use two small planters on either side of the doorway. It can give green look on the house structure. If the garden is equipped with a pergola, gazebo or outdoor kitchen, you can hang some smaller planters filled flowers on the roof. 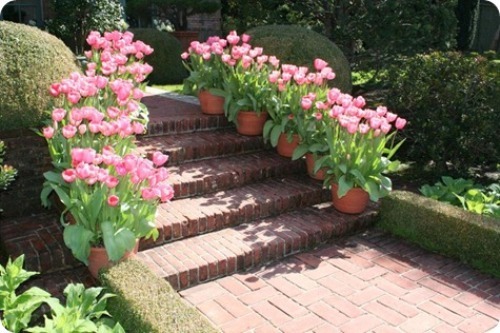 If you have a lot of collections of flower planters, you can arrange them based on the pyramid style. It means that the tall flowers are located at the back while the shortest flowers are at the front. The flowers with moderate length are in the middle area. 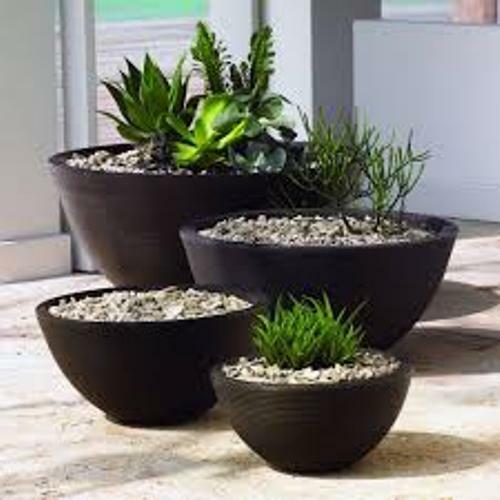 Get ideas on how to arrange outdoor plants in pots here. Do you want to give more ideas on how to arrange outdoor flower planters?